First cut a 6" x 9 1/2" piece of brown card stock and fold it in half for the base and a 4 1/2" x 5 3/4" piece of tan for the front layer. Next randomly stamp the paw prints (I used the paw print stamp in my Bear Hugs set) on the tan card stock using Stampin' Up! Chocolate Chip ink. 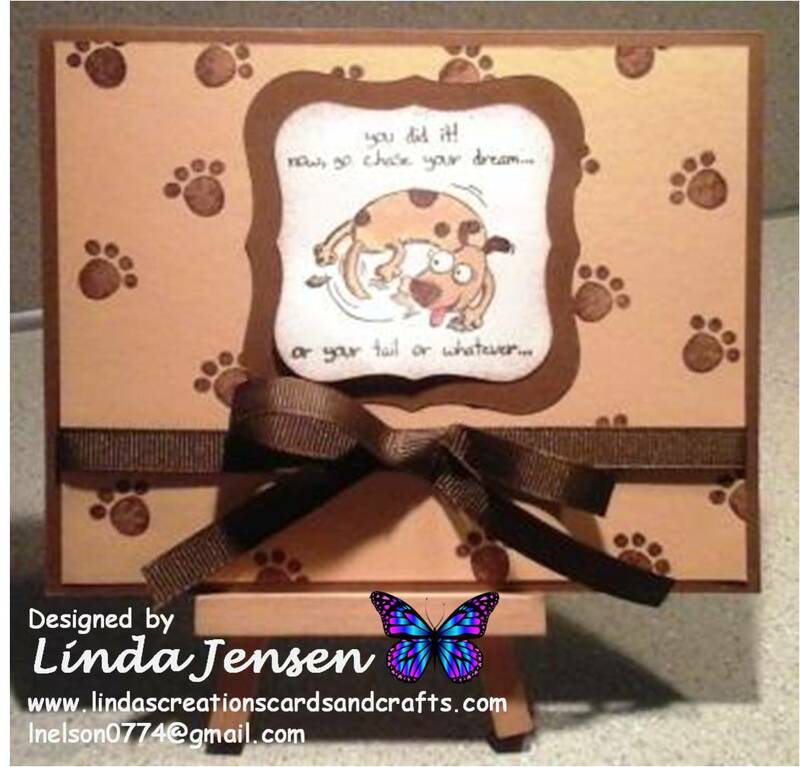 Then cut out the cute doggie and background using Spellbinders Labels One dies. Next stamp the doggie (I attach the die cut to a piece of scrap paper to hold it in place then stamp the image using my absolutely positively can't live without it Stamp a ma jig) in Stazon Jet Black ink then color it with an aqua painter and Stampin' Up! Chocolate Chip and Crumb Cake inks. 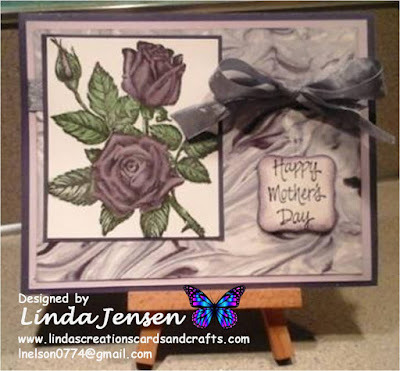 Next sponge the edges with Chocolate Chip ink, attach it to it's background then to the front layer, attach the ribbon around the front layer, attach the front layer to the base and enjoy!